To obtain an overview of the attitudes toward interdisciplinary further education of residents and consultants in radiology and nuclear medicine and preferences regarding a future joint training curriculum in Switzerland. A 34-item questionnaire was sent electronically (SurveyMonkey online survey tool) to 1244 radiologists and nuclear physicians (residents and consultants) in Switzerland. The items asked about the motivation for further education in each other’s specialty and preferences regarding a joint further education curriculum in radiology and nuclear medicine. Overall, 370 questionnaires were analyzed (370/1244, 30%). There were 280 (76%) board-certified physicians in either radiology (238/370, 64%) or nuclear medicine (42/370, 12%) and 65 (18%) residents (radiology 54/370, 15%; nuclear medicine 11/370, 3%). More than half of all residents (34/65, 52%) stated their conviction that a wide range of expertise in both disciplines could be fully guaranteed through adequate cross-curricular training. For responders already at a consultant level in radiology or nuclear medicine, the willingness to undergo further training in each other’s specialty significantly increased with a shorter training period. The preferred option for a possible future joint training curriculum was a combination of a 5-year radiology training program with 2 years of further training in nuclear medicine. Both residents and board-certified physicians in Switzerland are highly interested in a cross-curricular training curriculum in radiology and nuclear medicine. 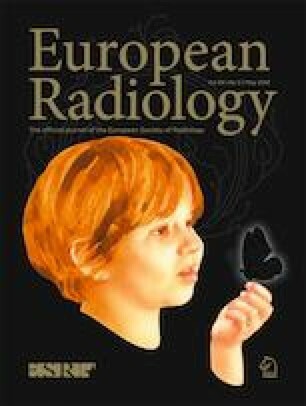 • A systematic survey was conducted to obtain information on interest in cross-curricular training in radiology and nuclear medicine and preferences regarding a future joint training curriculum. • More than half of radiology and nuclear medicine residents would be interested in further training in the other specialty. • There is a strong desire for a shorter training program when combining training in both radiology and nuclear medicine. The scientific guarantor of this publication is Martin Maurer, Bern University Hospital, Inselspital, University of Bern, Switzerland. The authors of this manuscript declare no relationships with any companies whose products or services may be related to the subject matter of the article. Mrs. Anja Mühlemann, Department of Statistics, University of Bern, kindly provided statistical advice for this manuscript. Written informed consent was not required for this study because no patient-related data was necessary for this study. Institutional Review Board approval was not required because it is only an anonymized statistical data and no patient data was used for this study.